IT criminals are increasingly using different cyber attacks to victimize web users. Attacks like stealing data- individual or business, creating scams etc. have become more frequent. Cyber criminals stealthily control our systems and steal away our data. Thus criminals have become well versed with exploiting loopholes and mastered the act of manipulating users as desired. 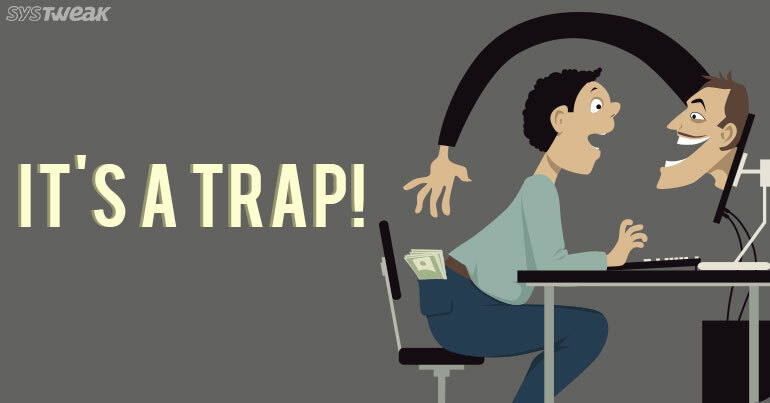 But many Internet users are still unaware about the traps laid by these professional IT criminals to breach their privacy. Therefore, we have come up with an article that can help you stay updated about the major cyber attacks and the ways to tackle them. Read on! While surfing on the Internet, users generally come across pop-ups that are designed to lure them. Intentionally or unintentionally, once the user clicks on the pop-up, it initiates the attack and user ends up with a malware infection on their device. How Does It Harm Your system? Malware can only enter your device when the malicious installation is triggered by the user. Hence, never click on pop-ups or visit untrusted websites. Moreover, look for “HTTPS secure” SSL certificates while surfing on the web. Use the best Antimalware to keep your devices safe from such attacks. Advanced System Protector is the best-in class malware protection program that can detect and clean any malware in snap time. Its database consists of more than 10 million malware definitions (still growing). Download this light-weight powerful app by clicking on the download button. Attacker tries to steal user information with the help of emails and other communication methods. Such communications are impersonated as legitimate ones to convince users that they are from a trusted source. The email will contain an attachment. Once the user clicks on the attachment, it automatically downloads the malware into the device. The malware then breaches device security, steals information, invites other malware or takes control of the device. It’s a serious problem if not prevented at the beginning. It can open the doors to other serious attacks on your device. You can prevent the event by scanning email attachments before opening them. Though many leading email providers have an inbuilt email scanner to detect phishing emails, it’s better to install email scanner tool in your device as an added security layer. Again, you can buy an antivirus or antimalware program that scans your incoming emails as well. It’s a very common practice among people to reuse credentials in different accounts. Security experts advise to use unique strong passwords in all different accounts. But it’s generally not followed and hackers takes advantage of such situations. As soon as IT criminals get access to user’s personal information, they exploit the situation and try to use the information to crack accounts. There is no other way than to use unique strong credentials in different accounts. You can use a password manager tool to store all your important passwords. Note:- You can replace passwords by passphrase. For example, you can create a credential such as – “ILove2RideBike$”. Such phrases are easy to recall and a hard nut to crack. DoS or denial of service attack is a very popular attack among cyber criminals. The aim of the attack is to create high traffic on websites to create denial of services to its users. Such attacks are initiated from IPs across the world to hide attacker’s exact location. Cyber criminals use malware like botnets to launch an attack like DoS. Note:- A botnet can produce over 100,000 different IP addresses in a DoS attack. How To Prevent DoS Attack? You can prevent DoS attack by installing a powerful antivirus program on your device. For enterprises, there are third party services that secure websites against DoS attacks. They may be expensive but they can be effective. Also known as Session ID Hijacking, this attack occurs during a live Internet activity. A session ID allows the user to interact with the website. The attacker arrives in between the user computer and web server and steals the information that is being shared without user knowledge. How To Prevent MITM Attacks? Avoid connecting to a open Wifi directly. If you want to connect, utilize a browser plugin like ForceTLS or HTTPS Everywhere. Most of the things like implementing authentication certifications and using HSTS on the website must be performed at the server side. SQL, a programming language is used to interact with different databases. Database servers that store vital website information use SQL to manage their database. An attacker uses an SQL injection attack to access the information in the website by injecting a malicious code into the database. It is a severe attack as it can extract all passwords and other vital user information stored for the site once it is successful. The attacker gains control to the site’s search box. The attacker then inserts the code that reveals user information according to his needs. How To Stop SQL Injection Attack? In this attack, the attacker aims the website’s user. The attacker inserts a malicious code into a popular website and automatically runs into scripts and comments to steal user information. Therefore, it damages the website’s reputation. How To Stop Cross-Site Scripting Attack? Installing web application firewall can prevent cross-site scripting or XSS attacks as the firewall cross-checks whether your website is vulnerable to XSS attacks and reinforces the website’s security. Being an Internet user who stores personal information, work and other files online, we should be aware of the cyberattacks. Knowing these attacks will equip us to prevent at the earliest possible to secure our data and devices. We hope that this article helps you in safeguarding your IT assets. Friday Essentials: MS DOS, Still Alive!